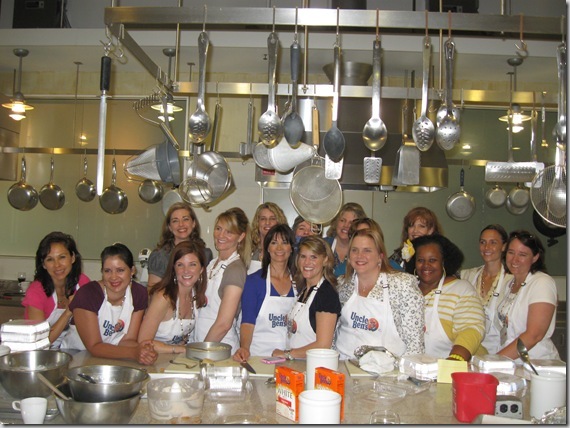 You are here: Home / Great Deals / Uncle Ben’s Party! 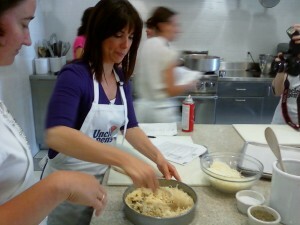 So, you all know I went the Uncle Ben’s Event yesterday and I had a blast! I met Oh So Cynthia! Tip Junkie, Living Locurto, June Cleaver Nirvana, Two Monkeys A Washtub, Mommy’s Wishlist, and too many more to mention. 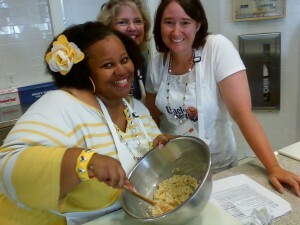 I was on a cooking “Team” with Tamona from Tamona’s Tips, Susan from Permanent Posies, and Wendy of T Girls Rock! 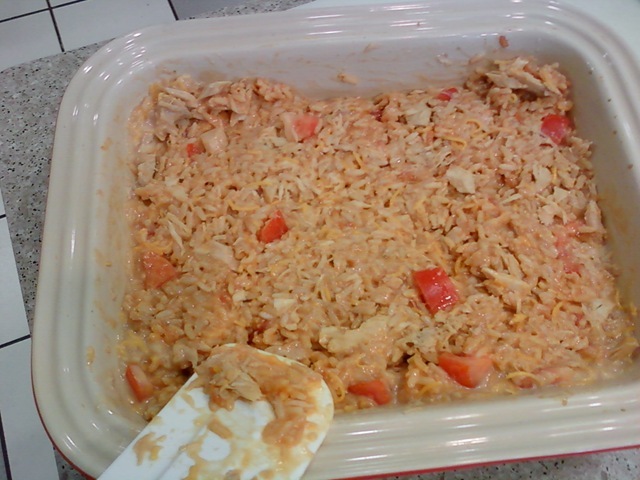 Then we made BBQ Chicken Pizza With Uncle Ben’s Whole Grain White Rice Crust, and Tuna Tomato Melt Casserole – my personal favorite: the “melt” comes from the cheese we smothered it with after this pic was taken! Finally, we made Chocolate Rice Pudding with pureed cherries in it! 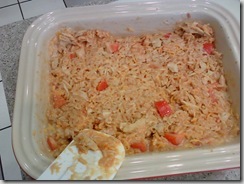 It was all very good, everything had the Uncle Ben’s Rice in it, I am not a big rice eater, but I enjoyed it! This is Whole Grain White Rice, all natural and low in fat – Lisa, who was the Uncle Ben’s Rep in attendance told us… “it has the taste and texture of white rice with the benefit of whole grains”. She also said it is available now, in the Dallas are at Kroger, and will be available across the country by the time school starts back in August, so be on the lookout for it, so you can try it! There are 6 plain and flavored varieties available and they are ready to eat in 10 minutes! The chick in the yellow is so cool! I just wish I could have tasted that tuna melt. I saved mine for home and got jacked by a pushy 8yr old! 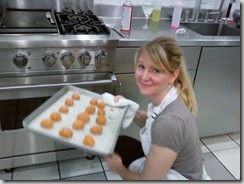 .-= Tamona´s last blog ..Dear Diary, Skinny Advice From A Fat Chick =-. It was a great day wasnt it? Great to meet everyone! So fun! So great meeting everyone, too!